Rocktober! Day 12 | Awesomeness For Awesome's Sake. Today we get all literary thanks to Metallica and their H.P. Lovecraft inspired tune, “The Thing That Should Not Be” from the 1986 metal masterpiece, MASTER OF PUPPETS! 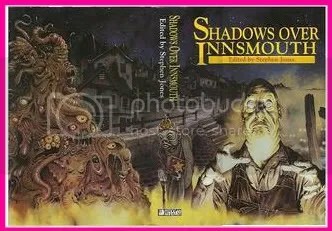 Here’s a quickie breakdown of the lyrics and Lovecraft’s story, The Shadow Over Innsmouth, at ENCYCLOPEDIA METALLICA.